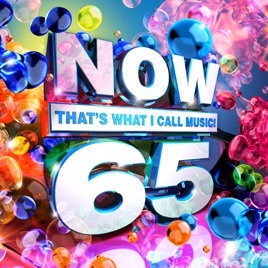 Ok, so I've been very disappointed with the past NOW albums, and for me this is definitely the best NOW since NOW 62. For the pros: I'm absolutely THRILLED that the No Rap Version of "Havana" is on this! It is my favorite version as I feel the rap verse ruins the song and I can only find LQ versions of it on YouTube. HUGE plus! "...Ready For It? ", "Sorry Not Sorry", "Best Friend" and "Let You Down" are some favorites of mine atm and are a welcome addition. I'm disappointed that the Beyoncé version of "Mi Gente" is featured, but it's still a great song. I'm glad that "I Fall Apart" was added instead of "Rockstar", although the latter is more popular, the former is more audience friendly. I love "Beautiful Trauma" although it's not a hit... yet. I hope it's the radio edit and not the album clean, but either way is a welcome inclusion. Now for the cons: "Too Much To Ask" is old and has pretty much flopped on the charts, and I would've liked to have seen "New Rules" and "Meant To Be" included, but hopefully "Now 66" will include those. Overall, I'm thrilled with this album and rate it 9/10. What's the point of buying these?